For more than 100 years, customers who have required unsurpassed performance and durability for signal transmission have counted on the Belden brand. In the 20th century, that trust was built on high-performance wire and cable products. 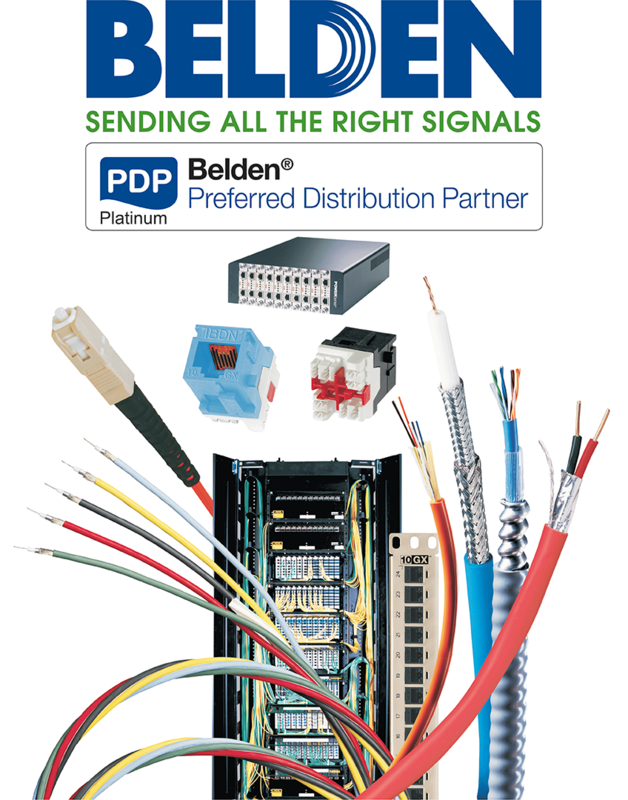 Today, Belden designs, manufactures and sells a comprehensive portfolio of cable, connectivity and networking products for the transmission of signals for data, sound and video applications. Belden’s highly differentiated, high-performance products can be found in a variety of markets including industrial, enterprise, broadcast, transportation, energy and consumer electronics. Wire and Cable Solutions for High Quality, Top Performance and Total Reliability. Belden® offers over 3,000 cable and connectivity components (including fiber optics) for applications in Computer/Networks, CATV, Industrial, Entertainment and Security. Belden is a signature brand and includes such products as multi-conductor, paired, coaxial, flat and fiber optic cables, plus portable cordage, molded cable assemblies, hook-up and lead wire. Key market brands include: Brilliance® entertainment/broadcast cables, New Generation® sound, security and alarm cables, IndustrialTuff® industrial/factory floor cables, residential cables, and DataTwist® networking cables. Belden, a world leader in providing signal transmission solutions, completed the acquisition of Hirschmann™ Automation and Control in 2007. As a result, Hirschmann™ industrial switches and active devices now combine with Belden cabling, connectivity and cable management products to provide an unparalleled set of solutions for Industrial Ethernet networks. Only Belden provides solutions for Open System Interconnection (OSI) Layers 1, 2 and 3 to ensure our customers’ networks are optimized for completely reliable performance. 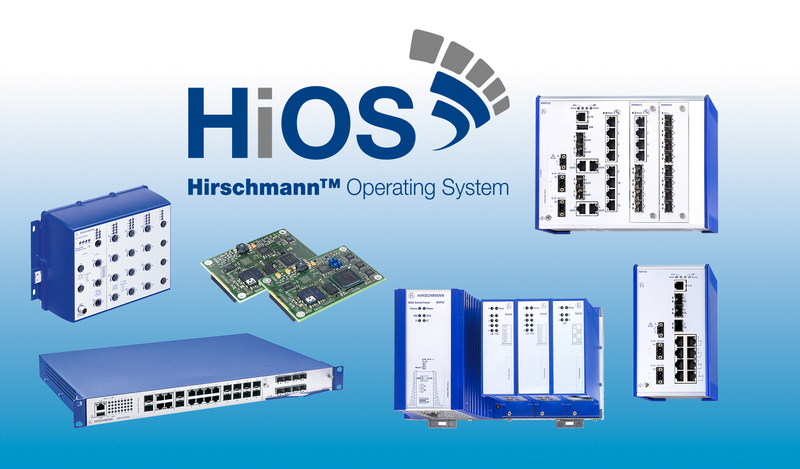 Hirschmann™ – The Technology and Market Leader in Industrial Networking As specialist for automation and networking technology, Hirschmann™ develops innovative solutions, which are geared towards its customers’ requirements in terms of performance, efficiency and investment reliability. Hirschmann™ has adopted a major role in the establishment of Ethernet technology as the standard in the production area. Today, the Powerlink protocol from the Ethernet Powerlink Standardization Group already provides an open method for the realization of hard real-time applications using Ethernet, for example for machinery controllers by integrating the CANopen® Protocols. Hirschmann™ is a founding member of the EPSG. It is currently the only brand on the market to offer a complete product range for homogeneous data communication in the industrial sector using Ethernet and Fieldbus systems. This includes Layer 2 and Layer 3 switches as well as industrial security and WLAN systems that provide a uniform, company-wide communications infrastructure without interface problems and media discontinuities. These products are used in many different applications such as factory automation, process control, transportation and mechanical engineering. Hirschmann™ not only offers a complete range of products for company-wide data networks, but also a broad support package direct from the product manufacturer. Customers are supported, both during the conception of tailor-made communications solutions, and during the planning, design, commissioning and maintenance of the networks. Seminars and workshops, in which trends and developments are evaluated, and technical subjects put into practice, complete the range of services. Established in the year 1922, Alpha Wire today is recognized for high-quality, premium grade products for the widest range of applications. From the harsh environment of a factory floor, to critical controls on an offshore oil rig,cables from Alpha Wire is working reliably day-in and day-out. Alpha Wire design and manufacture every cable to meet the critical demands of real world applications.Using premium materials, advanced manufacturing,and world-class quality control, Alpha Wire manufacture every cable knowing its operation is critical to an application’s success. Alpha Wire gives you choices so you can find the exact products for your application. 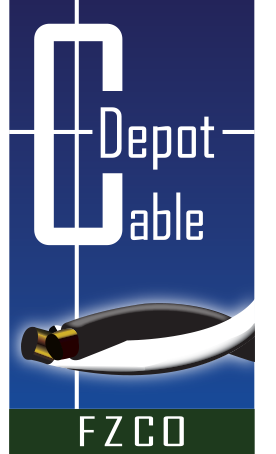 They offer the brands respected in the industry like the high performance of Xtra-Guard cable, the broad offering of Manhattan electrical cable, the seaworthy toughness of Dearborn marine cable, or the exceptional sealing and protection of FIT heat-shrink tubing. Alpha Wire has a wide range of wire, cable, tubing, and accessories that will make any application perform to specification.